Walking your dogs around a small town has it’s benefits. Tonight Chris and I were walking Rex & Maggie and I remembered that I needed a little bit of black ribbon to complete one of my current crafts, and out-of-the-blue, I decided to stop in to one of my town’s local sewing stores. 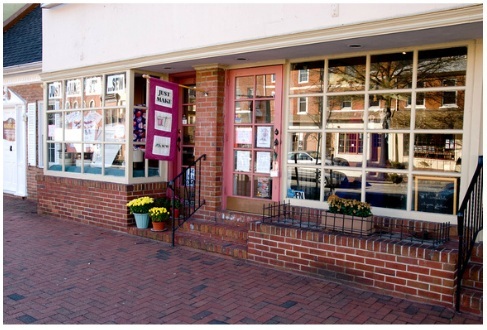 Just Make It Sew is a charming, well-stocked sewing and notions store located on the main street through my town. And yes, as you can tell by the photo, I do live in one of those adorable, picturesque, “oh-honey-wouldn’t-it-be-nice-to-live-here” towns. JoAnn, the shop owner, was more than willing to accomodate my need for some “quarter inch black ribbon” as she dug through a box in the back of her store. She sold me the ribbon for a great price and while we were talking, I glanced around her store and realized that I don’t shop my main street vendors as often as I should. And that my hometown main street can probably meet many of my creative needs. 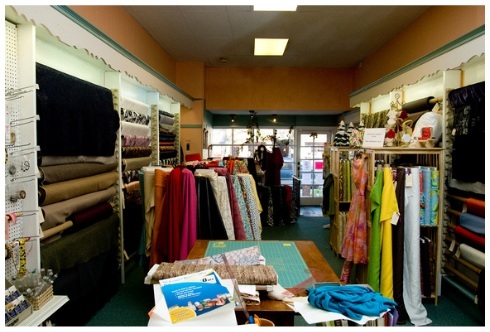 Best of all, Just Make It Sew offers classes, too – so even if you’re not well-versed in the art of sewing, you can be. It’s a great store. Thanks to JoAnn and her shop, I was able to finish a craft without handing over my money to yet another big box store. And that is what “neighborhood creative” is all about.